Nanami has the least amount of experience compared to the other members, and she did not have much knowledge of anime culture. Originally she was not interested in anime, but over time she was influenced by the other members little by little. At first, Nanami did not enjoy voice acting lessons because she was unfamiliar with anime and was not confident in her acting. 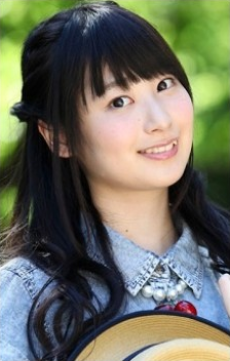 As her character Hisami Nanami began to develop, she started to enjoy voice acting and began to want to work as an independent voice actress. Since vocal lessons were anime songs as well, she had to work harder since she was unfamiliar the anime songs. Her hobbies are talking and playing a flute, as well as aromas and psychological tests. Her favorite foods are fried rice and apple pie. She is said to have a collection of rings and is an impulse shopper. Nanami was the section leader of flute in the brass band in middle school. She also did classical ballet from 3 to 15 years old. Her favorite voice actress is Rie Kugimiya, since her work in Toradora! was the first time that anime had made her cry. She learned many things from voice acting from Rie Kugimiya's role as Aisaka Taiga.